PATCHOULI: Steam distilled from the dried leaves of the Patchouli plant, this rejuvenating oil is invigorating to the skin and the senses. Naturally antibacterial and anti-inflammatory, this fragrant oil is especially useful topically and in aromatherapy. Studies have shown that Patchouli essential oil possesses cell-restorative properties and is particularly helpful for dry and mature skin. Many of our customers really love our Patchouli essential oil as they are familiar with the use of a “Patchouli fragrance” that just doesn&apos;t compare. Steam distilled from the dried leaves of the Patchouli plant, this rejuvenating oil is invigorating to the skin and the senses. Naturally antibacterial and anti-inflammatory, this fragrant oil is especially useful topically and in aromatherapy. Studies have shown that Patchouli essential oil possesses cell-restorative properties and is particularly helpful for dry and mature skin. 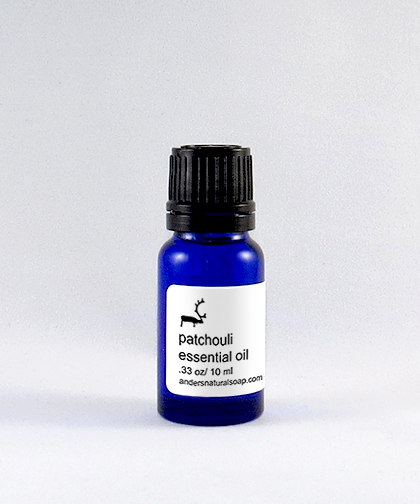 Many of our customers really love our Patchouli essential oil as they are familiar with the use of a “Patchouli fragrance” that just doesn&apos;t compare.